12 August’14, Mumbai: He has penned lyrics for a number of melodies and has directed several critically acclaimed films. Known for his tremendous gift for writing - whether it is poetry, dialogues or scripts, Gulzar’s contribution to Hindi Cinema will always remain unparalleled. He was recently conferred with the prestigious Dadsaheb Phalke Award for his outstanding contribution to Indian Cinema. Shemaroo salutes the versatile genius Gulzar who turns 78 on 18th August, 2014 and releases Hits of Gulzar, a song compilation dvd to celebrate the occasion. Hits of Gulzar – covers his repertoire, right from Kabuliwala (1961) & Bandini (1963) to Ishqiya (2010) and Dedh Ishqiya (2014) and features original videos of the songs penned by him. It also includes songs from films directed by him like Aandhi, Parichay, Khushboo and Meera. Gulzar’s fans can also enjoy his rare on-screen appearance in a song from Griha Pravesh. Additionally, the DVD has three audio tracks from Dedh Ishqiya, thus making it a rare combo of audio as well as an audio-visual treat. 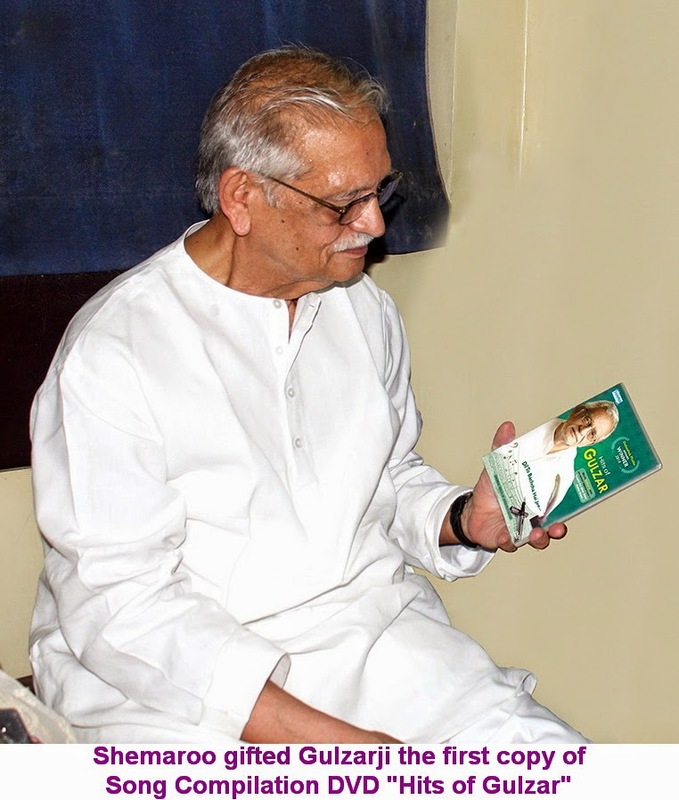 The first copy of the compilation dvd was recently presented to Gulzar ji. 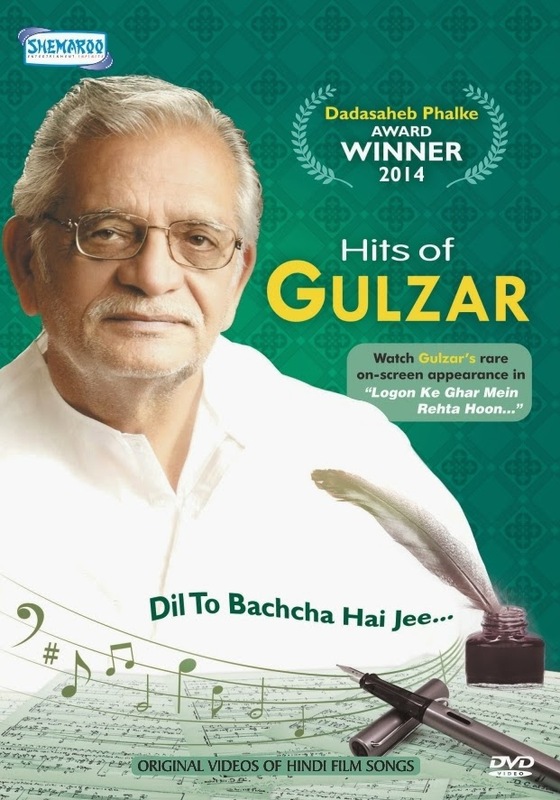 Hits of Gulzar is economically priced at Rs 99/- only. So grab your copy of the DVD today.